A living museum retracing the history of the « Vicinal » Light Railways. 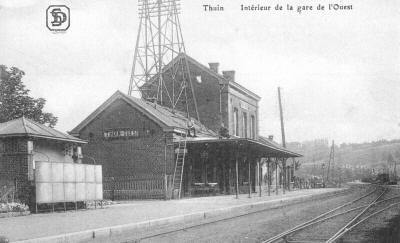 The museum is on the site of the old Thuin West railway station, on the former Belgian State Railways line 109, which ran from Mons to Chimay. The passenger service was discontinued in 1964, but the line was kept open for goods traffic to the sugar factory at Donstienne. In the 1980s all traffic ceased and the line was abandoned. However, some special trains were run, for example, on the occasions of ASVi festivals, using a class 46 diesel railcar and “Vicinal” standard gauge steam tramway locomotive 808. In 1992 it was intended to lift the track, but the ASVi organised a last trip by railcar. 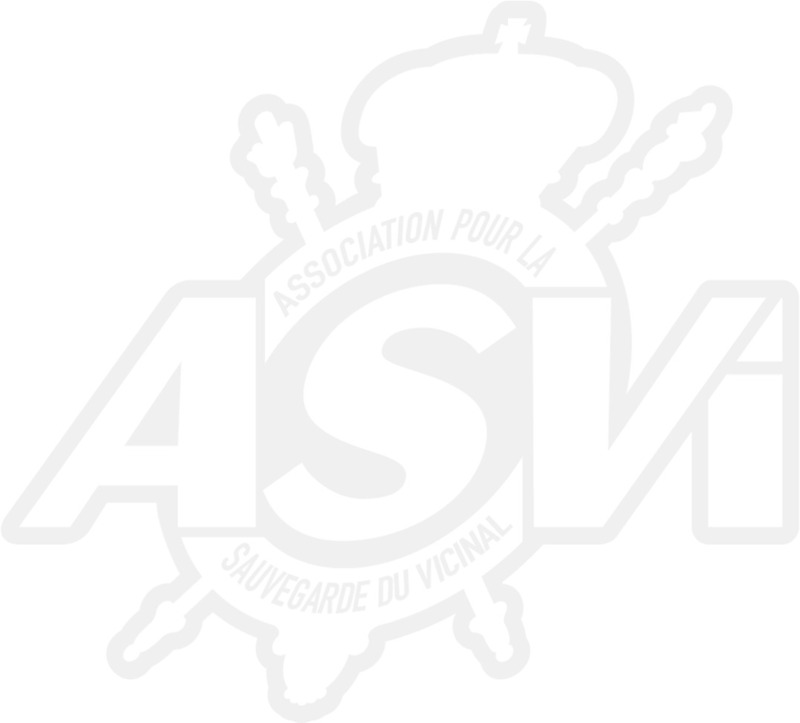 Then, in February 1993, the ASVi started to re-gauge the line from standard to the “Vicinal” metre gauge (most of the “Vicinal” lines were metre gauge). The railway line used metal sleepers and it proved possible to move one rail to give metre gauge. A point was then added to connect the existing metre gauge “Vicinal” electric tramway in Thuin to the re-gauged railway line. Further points to give access to the future workshop and museum were obtained from various old Vicinal lines (for example the loop built for the 1958 Brussels Exhibition, a mixed-gauge point from Marcinelle Hauchies and others from the former Vicinal network in the Charleroi and Centre areas). The works for the new depot were started in 1996. It was built as a workshop, but in the beginning served as a museum. Due to financial constraints the main work on the building was not finished until 1997. The further works to complete the building, maintenance pits for the trams, rails and the concrete floor, were completed in 1999. June 1999 saw a lot of activity in order to prepare everything for the arrival of the main exhibition items – the trams! The PCC car arrived first, followed quickly by 9073, steam tram 303 and trailer 1853. The public opening was planned for the 4 July 1999, but there was still a lot of work to do. More tracks were needed, electricity at 600 Volt had to be provided for the trams. The construction of an electric sub-station began in February 2000. The electric part of the sub-station was ordered from AEG, whilst other parts were recovered from an old sub-station in Binche (Ex Vicinal route 90). The electrification of the site was also started in February 2000. The overhead can be used by trams with trolley poles or pantographs. Thanks to a subsidy of 1.1 million Euros, the second building of the “Vicinal discovery centre” could be built. The ASVi had to pay the balance of the building costs, some 110,000 Euros, which would be obtained through donations and income. The construction of this building started at the end of 2001 and finished at the end of 2002. Then it was time to lay tracks and provide electricity, so that trials with electric trams could begin. The 1st of June 2003 was the first day of electric traction. Winters were used to complete the museum display, then the vehicles were transferred from the museum/workshop to the new museum. The workshop was then available for the restoration of other trams and for the maintenance of those already in service. It was finally possible to undertake the transport of trams stored in other places to the Thuin site. Vehicles already restored took their place in the museum, a number which only needed limited repairs went through the workshops. This ensured that 25 more trams were safely under cover. In 2004 we were first able to run electric tram services, the museum was officially opened, the majority of the track works in front of the museum were complete and the 15th August festival was a success. In 2010 is a 3km extension along the right-of-way of a former Belgian National Railway's branch to a terminus at Biesme-sous-Thuin. Worked by diesel autorails this attractive run offers a contrast to the Museum's existing roadside and street operations to Lobbes and Thuin (Basse Ville), and reminds us that the Vicinal once ran on private rights-of-way through lovely countryside. During your visit to our museum you will be able to discover 100 years of “Vicinal” trams. From the steam tram locomotive with its mixed train of passenger coaches and goods wagons, typical of the 1920s, to the last trams built for the SNCV, but not forgetting the big “standard” bogie cars and the diesel railcars with their goods trains. Walking through the museum you will be able to study the vehicles on display and even admire the interior of some of them, to judge the “comfort” offered when they were built. Small exhibits, such as controller handles, timetables, tickets, and dioramas of typical vicinal scenes, are displayed around the museum. There is also a display of electrical equipment, a plan of an electric sub-station, and a tram controller, opened to show how it works. At a higher level you will see numerous photos and destination blinds. Posters with a red background give the main stages in the history of the vicinal tramways, from their creation to their abandonment. Before looking at the shop, take the stairs to the mezzanine, from where you have a view over the whole museum. A unique chance to see the roofs of the trams! You can also admire the superb 1/87th scale diorama representing the Brussels Vicinal scene, starting alongside the canal and finishing on the square of a Brabant village. Before you leave the museum be sure to visit the shop, where there is a large selection of books, films and souvenirs about the Vicinal tramways. To complete your visit, you can experience a Vicinal tram in action, by taking a ride on one of our restored trams to the centre of Thuin and to Biesme-sous-Thuin.